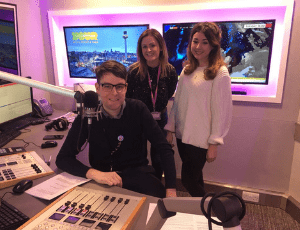 On Monday, 4th February national charity PAPYRUS Prevention of Young Suicide is joining Radio City in a four hour show – 11am to 3pm – to mark the start of Children’s Mental Health Week. The dramatic backdrop will feature 226 pairs of school shoes on the steps of St George’s Hall, representing the number of schoolchildren who lost their lives in 2017. The day also marks the 100th episode of Radio City presenter, Mick Coyle’s Mental Health Monday Show. A range of guests will feature, including parents bereaved by the suicide of a school-age child, young people who have struggled in their former years, now with stories of hope to share, as well as politicians and local services that offer support. “We hope our live show and Lost Childhoods shoes event will shine a spotlight on the issue of young people’s suicide and also the wider issues our young people are facing,” said Mick Coyle.